Panda Dome Essential (formerly Panda Antivirus Pro) is an easy-to-use application that provide essential antivirus protection with real-time security that is able to remove viruses and any other type of threat or malware from your computer and Android smartphone or tablet. Panda Dome Essential also includes a bidirectional firewall to protect your Wi-Fi network from intrusions and unwanted connections. Chat, share photos and videos, read your favorite blogs or simply surf the Web with complete peace of mind. Panda Security Cloud Technology provides an intelligent protection system based on a user community where everyone contributes. Your computer will always be up-to-date and protected. Additionally, your PC won't restrict the detection power as Panda's huge virus detection database is located on the Internet (the cloud). 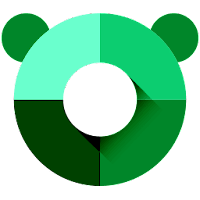 Disclaimer: Direct downloads for the lastest version of Panda Dome Essential 18.07.00 (formerly Panda Antivirus Pro) are provided by the official software's author, we can't guarantee safety, availability or download speed. Moreover, we don't and we won't provide any pirated/illegal versions or tools. We recommend you to avoid it as these methods can harm your device. If you like the software, buy it to support the developers. (We provide software discounts for many worldwide brands).